For over 25 years the British Liver Trust has provided support and information services for anyone affected by any form of liver disease. We run support groups, provide high quality publications and guides to help people understand their condition, and campaign to raise awareness of the risks. There are many different causes of liver damage. Obesity and viral hepatitis can cause as much damage as alcohol and all can lead to liver cancer. There are also liver conditions caused by other factors, including our genes, or by reactions to prescription medication, for example. Our Love Your Liver campaign aims to encourage people to take Three Simple Steps to a healthy liver. By taking this approach, many people could significantly reduce their risk of developing liver disease. As a small national charity, our work is only possible with the help of our supporters. Thank you for choosing British Liver Trust. 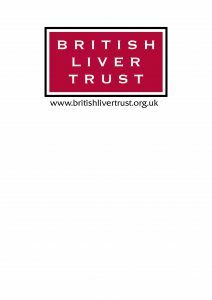 Find out more at www.britishlivertrust.org.uk; and if you have any concerns or queries about your liver health, please do speak to your GP or pharmacist.